I yearn for a world where our differences are seen as strength rather than liability. I understand that we finally need to make decisions for the sake of ordering our life together, and sometimes it’s exactly those decisions that highlight our differences. But, our differences do make us stronger. They create variety, space, and options for those who seek a life and heart closer to Jesus. I think that’s good. And I think that, if I’m going to be good at encouraging people in their spiritual walk, I need to know what kinds of options are out there — what kinds of perspectives different churches have on what it means to be a person of faith, how God is at work in the world, and how we live together in faith communities. I also feel, in the midst of an election season, that knowing and understanding people with different views than mine is critical for the health of our democracy. My baptism calls me to care about that. Metro Lutheran helps me with this calling. It’s an independent voice, reflecting the wide variety of Lutheran expressions in our area without being beholden to any of them. That’s why I agreed to be on Metro Lutheran’s board, and that’s why I support Metro Lutheran financially. I want to know what my Lutheran cousins are up to! 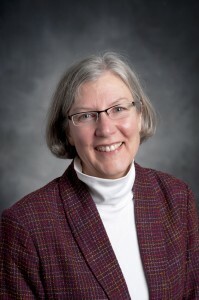 Catherine Malotky was elected to the Metro Lutheran board of directors in 2011.